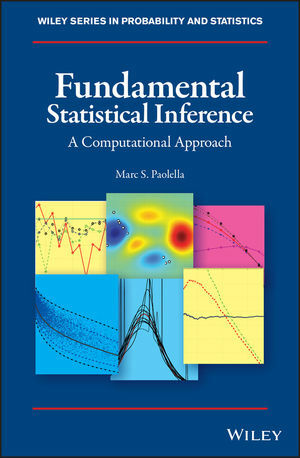 This clear and accessible book for beginning graduate students offers a practical and detailed approach to the field of statistical inference, providing complete derivations of results, discussions, and MATLAB programs for computation. It emphasizes details of the relevance of the material, intuition, and discussions with a view towards very modern statistical inference. In addition to classic subjects associated with mathematical statistics, topics include an intuitive presentation of the (single and double) bootstrap for confidence interval calculations, shrinkage estimation, tail (maximal moment) estimation, and a variety of methods of point estimation besides maximum likelihood, including use of characteristic functions, and indirect inference. Practical examples of all methods are given. Estimation issues associated with the discrete mixtures of normal distribution, and their solutions, are developed in detail. Much emphasis throughout is on non-Gaussian distributions, including details on working with the stable Paretian distribution and fast calculation of the noncentral Student's t. An entire chapter is dedicated to optimization, including development of Hessian-based methods, as well as heuristic/genetic algorithms that do not require continuity, with MATLAB codes provided. The book includes both theory and nontechnical discussions, along with a substantial reference to the literature, with an emphasis on alternative, more modern approaches. The recent literature on the misuse of hypothesis testing and p-values for model selection is discussed, and emphasis is given to alternative model selection methods, though hypothesis testing of distributional assumptions is covered in detail, notably for the normal distribution. Presented in three parts—Essential Concepts in Statistics; Further Fundamental Concepts in Statistics; and Additional Topics—Fundamental Statistical Inference: A Computational Approach offers comprehensive chapters on: Introducing Point and Interval Estimation; Goodness of Fit and Hypothesis Testing; Likelihood; Numerical Optimization; Methods of Point Estimation; Q-Q Plots and Distribution Testing; Unbiased Point Estimation and Bias Reduction; Analytic Interval Estimation; Inference in a Heavy-Tailed Context; The Method of Indirect Inference; and, as an appendix, A Review of Fundamental Concepts in Probability Theory, the latter to keep the book self-contained, and giving material on some advanced subjects such as saddlepoint approximations, expected shortfall in finance, calculation with the stable Paretian distribution, and convergence theorems and proofs. Marc S. Paolella, PhD, is a Professor at the Department of Banking and Finance, University of Zurich. He is also the Editor of Econometrics and an Associate Editor of the Royal Statistical Society Journal Series A.